We use USPS to ship prayer wheels around the world. All packages can be tracked at the USPS website. 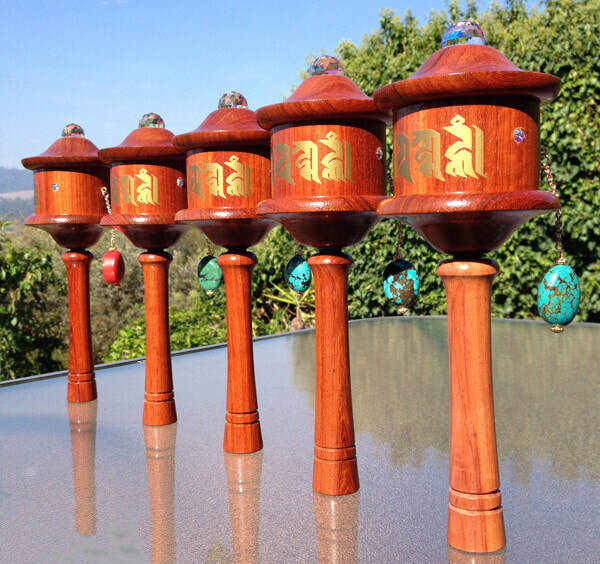 We carefully package prayer wheels to ensure they arrive at your location safely and without any damage. However, because we want to protect your investment, we insure the package for the full value of the prayer wheel. For locations in the United States, we ship prayer wheels using Priority Mail, which takes 2-3 days to ship from our location in California. For locations outside the United States, we ship prayer wheels using Priority Mail Express International, which takes 3-5 business days to ship from our location in California OR Priority Mail International, which takes 6-10 business days to ship from our location in California. Please note: The total number of days it takes for a prayer wheel to arrive at your location may vary based on customs delays. We recommend that you check with your country's custom office to determine their timing and if there are ways you can expedite moving the package through customs. Depending on your country, you may have to pay a customs or value-added tax to the delivery company to receive the package. We are unable to estimate and do not include these costs in the amount we charge for the prayer wheel. Again, we recommend that you check with your country's custom office to determine what these fees might be. We will calculate and let you know the exact cost of shipping and insurance to your location when you inquire about a prayer wheel. Shipping and insurance costs in the United States vary by your location's distance from California. For example, the cost of shipping to Los Angeles ranges from $16 and $30 depending on the model and size of the prayer wheel. Shipping to Denver ranges from $18 to $41 and shipping to the east coast varies from $21 to $54. The table below provides approximate shipping and insurance costs to locations in Asia (such as Singapore, Hong Kong, Malaysia, etc.) and Europe (such as France, UK, Spain, Germany, etc. ).